What exactly is a DUI? There are many different types of DUI in California, but the most common are CVC 23152(a) and 23152(b). The measurement of the amount of alcohol in the blood has come to be known as blood alcohol concentration, aka, BAC. Law enforcement has many ways to measure BAC while investigating these cases. Typically the measurement of BAC requires a trained police officer and machines that are serviced by trained forensic experts. Effectively this evidence may be the difference in a DUI defense. 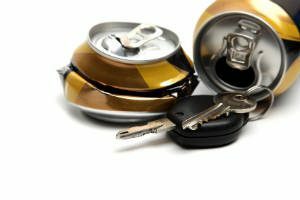 If you have been charged with DUI, we can help! There are legal ways to avoid many, if not all, of these consequences. A DUI is a misdemeanor case. This means that you have the constitutional right to a jury trial, to confront the witnesses accusing you, and to see the government’s evidence. There are defenses that can result in anything from a complete dismissal or acquittal of the charge to reduction in the charges or the penalties of the offense. We have handled hundreds of DUI cases here in Los Angeles County and all over Southern California and have successfully taken many DUI cases to trial. We have studied case law and all applicable statutes and regulation regarding DUI, including Title 17, which is the code of regulations that governs DUI forensic testing. We have studied various medical journals and forensic science publications on the science of DUI and have used this knowledge successfully in court. We keep up on new law and science so that our defense is on the cutting edge of the field. We are persuasive court room advocates who literally appear in court every single day in Los Angeles courts and often make multiple appearances per day. We are known by judges, prosecutors, and law enforcement and have unmatched credibility in the courts. Free Consultation – Sit down face-to-face with a lawyer and discuss the facts of your case. You will get a full analysis, legal opinion, and recommended course of action. DMV representation – If you were arrested for DUI, the DMV will try and suspend your license. You have only 10 days from the date of arrest to request a hearing to contest the license suspension. We can contact the DMV and request a hearing, request the evidence they have in their case, and request a stay on your license suspension, so you can keep driving pending the hearing. Court Representation – Your DUI may also mean that you are being charged with a misdemeanor. We are skilled criminal attorneys and we focus our practice on DUI cases. We can advocate for you in court to try and achieve a dismissal, acquittal, or substantial reduction in the charges. Jury Trial Representation – We appear in California Courts everyday and most days, multiple courts. We have tried a high volume of DUI cases over the years. If your case proceeds to jury trial, you can have a skilled team of attorneys, investigators, experts, and admin staff working your case to the fullest. If you are charged with a Traffic Misdemeanor or DUI, hire California’s best traffic law firm. We can help you get a great result on your case. To learn more about our procedures and how we can represent you, call the California Ticket King at 877-985-0002 or fill out a form on our website.